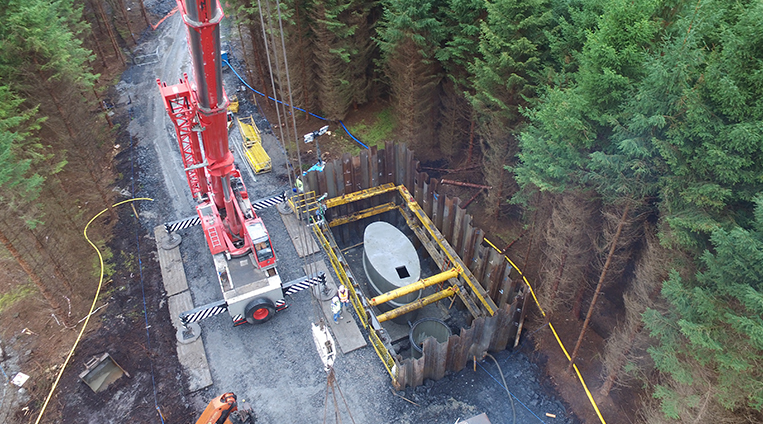 The pumping stations form an essential part of the drainage system for Center Parcs’ latest development - the new €233m Longford Forest Resort at Newcastle Wood. Roadbridge Construction Manager Stephen Salvin commented: “The Groundforce framing system and temporary works designs added great benefit to this element of the project. Roadbridge were able to use their own sheet piles and piling hammer but the speed of installation of the Groundforce frames was a great help”. Roadbridge is the main civils contractor, while John Sisk has the main building contract. Around 750 construction jobs will be created during the two-year project, which is due for completion in summer 2019. One completed the new holiday village is expected to provide up to 1,000 permanent jobs for local people.